Home › Blog › News › The Boys at Westridge get Festive! The Boys at Westridge get Festive! Fifteen Design have been working with Westridge Golf Centre recently and visited their course this week. 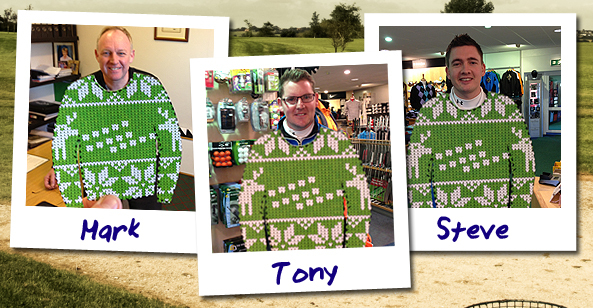 We couldn’t leave without getting the guys to ‘try on’ their Fifteen Design christmas jumpers! Mark, Tony and Steve look very festive indeed!